How could I visit Edinburgh and not visit The Elephant House? 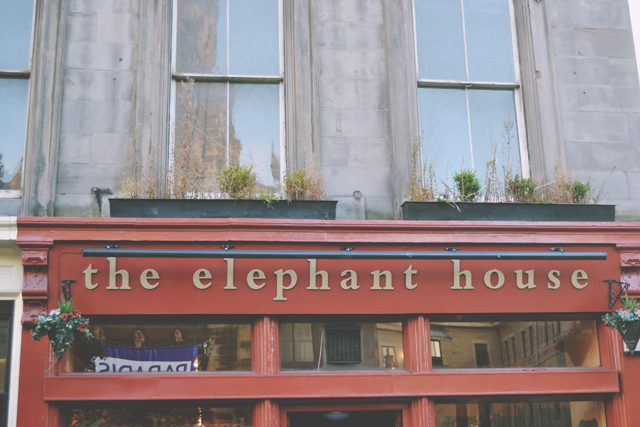 For those who aren't ardent Harry Potter fans, The Elephant House lays claim to being the birthplace of Harry Potter due to the fact that JK Rowling was known to frequent the cafe while writing The Philosopher's Stone. I think it's fair to say they may be exploiting and exaggerating the links a little but it was still a must-do for me. It was very busy on a Sunday afternoon but we only had to wait about 10 minutes for a seat and the staff were very helpful, keeping us informed on how long the wait would be. Although we were unable to get a window seat, we did have a view of the castle from our table. For my main course, I chose the beef stew which was insanely delicious. The beef was so tender that it just fell away as I was eating it, and the sauce was very flavourful. Although the mashed potato that came with it was a little too creamy, and almost paste-like, the stew itself more than made up for it. 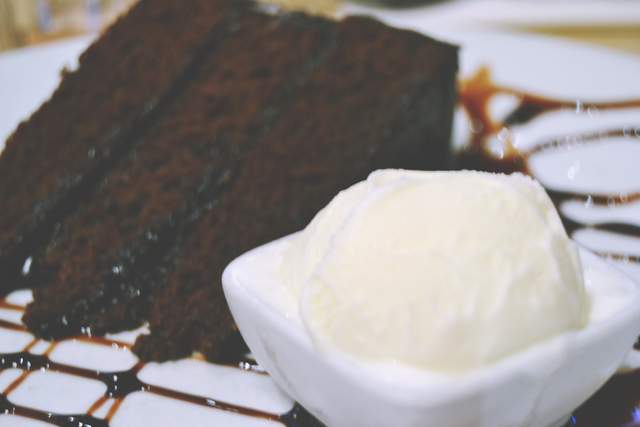 My pudding was a rich, indulgent chocolate fudge cake with a side of vanilla ice cream and it was divine! Yes, the food was delicious and the many elephants from which the cafe gets its name are quaint, but the real highlight for me was the toilets. Bear with me here. 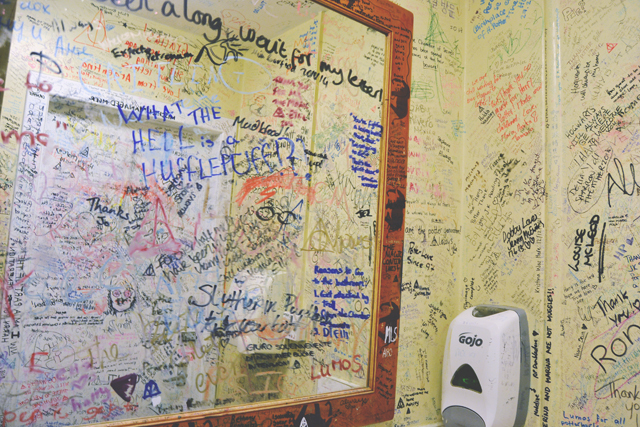 The toilets are absolutely awash with Harry Potter graffiti, which The Elephant House has allowed to remain. 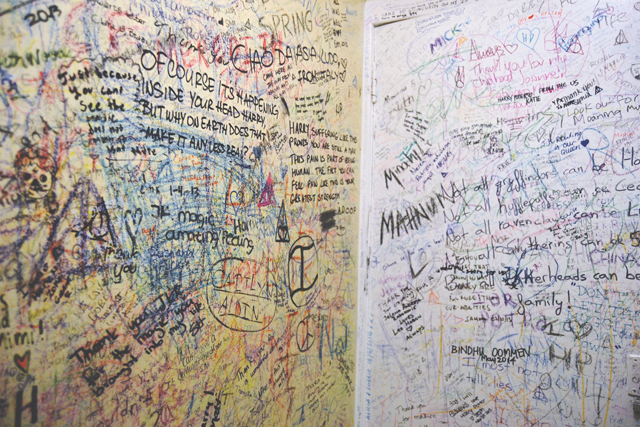 From quotes, to doodles and letters to JK Rowling, every inch of the walls is plastered with contributions from patrons. As much as I love the quotes, I think this was my favourite. I hope the author has since given Harry Potter a try! I was pleasantly surprised with The Elephant House. I expected a slightly tacky establishment but I actually got delicious home-cooked-style meals, a friendly atmosphere and helpful staff. It's worth a visit for any Harry Potter fans. There was somebody waiting for the toilet, otherwise I'd have been in there forever reading it all haha! This is AWESOME!!! Definitely going on my list of things to do when I finally visit Edinburgh. I didn't have a pen! Next time I will! 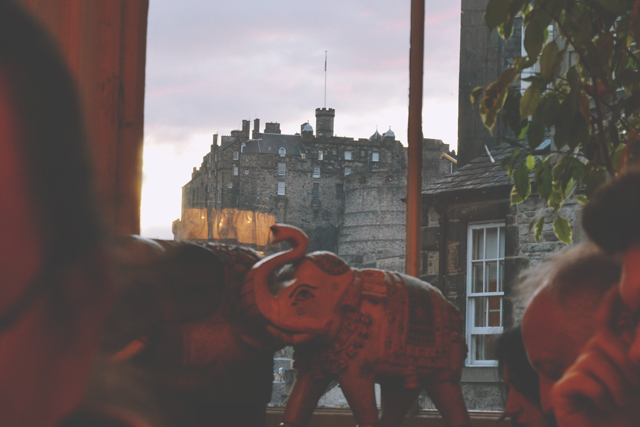 I love The Elephant House and go pretty much every time i'm in Edinburgh, not just because I'm a HP fan, but because I really like the food and atmosphere. I can see how JK Rowling often went to write as it's such a friendly establishment. Toilet graffiti is some of the best! Have never read any of the Harry Potter books (oh the shame) but this places looks really cool! 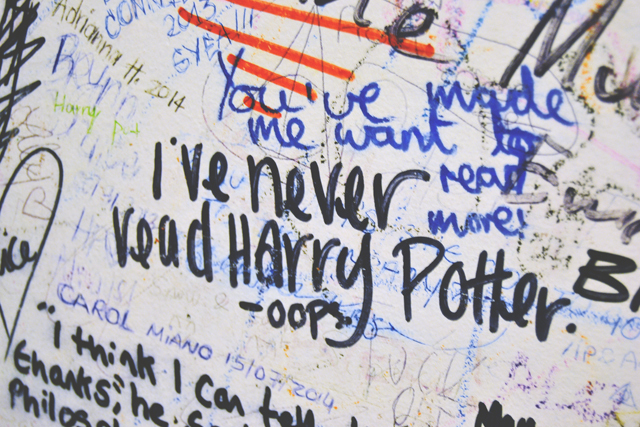 I will take you there and we will chill out in the toilets reading all the graffiti.